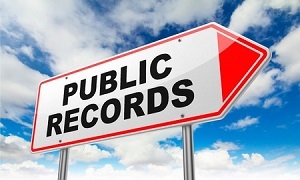 Public records are information that a governmental body is required to maintain and make available to anyone that makes a request. The idea is that in a democratic country, the citizens should be able to know what their elected officials are doing. Politicians can be held more accountable if they are required to document their actions and provide such documentation to the general public. The Freedom of Information Act (FOIA) is a federal law that was first passed in 1966 that promoted open access to U.S. public records. FOIA has been tested and defended in courts over the years. However, FOIA’s provisions that mandate public disclosure have been criticized over the years for possible loopholes that politicians can use to hide their actions. One such example is the potential compromise of national security and another commonly used loophole is endangering the safety of the public, law enforcement personnel and/or agencies, and confidential informants. These exceptions certainly make sense as it would be irresponsible to compromise national security or endanger the safety of pretty much anyone by forcing the government to provide sensitive information as public records. Unfortunately, some critics believe these exceptions are abused since a flaw in the law is that the final decision making power to comply with or deny FOIA requests rests in the hands of the politicians themselves. At one time, it was difficult and costly to access public records as they were spread out across local governmental bodies all over the country. However, technological advances have altered public records access to such a drastic extent that virtually anyone can find out information about someone else or about the government almost instantly and for very little cost online or through a mobile app. Unfortunately, this can make people vulnerable to having their personal data being perpetually compiled, thereby enabling online snooping by any desiring third party. Another major concern over easy online public records access is that it causes an extra burden for those people that make mistakes in life. People that have been convicted of a crime in their past have been especially impacted by inexpensive online background checks. Lots of employers utilize these checks to screen job applicants since they are so convenient to perform. The problem has grown so large that certain cities and states are enacting legislation to place guidelines on employment background checks. An additional issue with online public records is that the information persists for a very long time. For example, someone that was convicted of a crime decades ago will still have the information show up in an online search. There are ways to expunge, vacate, and seal records in most states but certain requirements have to be met and the process is time consuming and costly. The advent of the Internet has initiated a new information age that’s facilitated exponentially fast and easy access to U.S. public records everywhere by anyone. There are many very positive aspects of this development but there are some challenges that have been caused by it as well. Let’s hope that the perfect balance can be struck between government activities being on full public display and details on the private lives of individuals being kept behind closed doors.